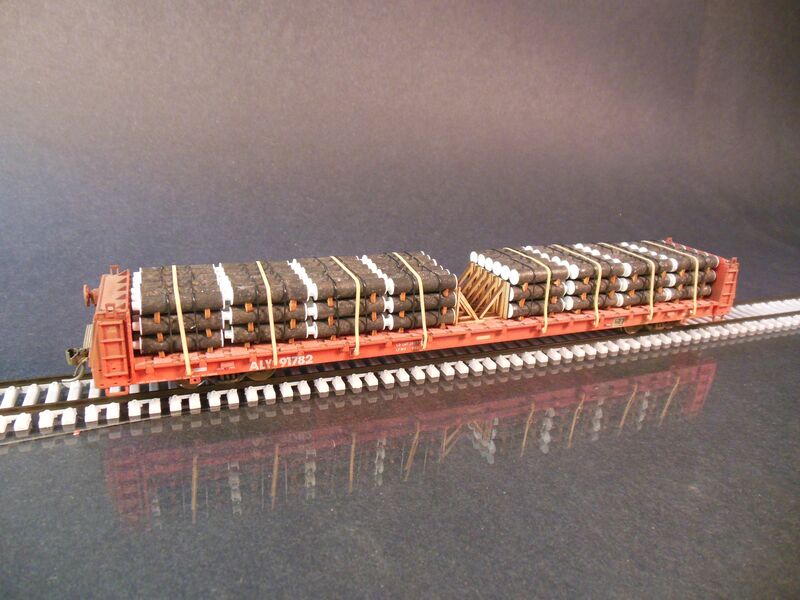 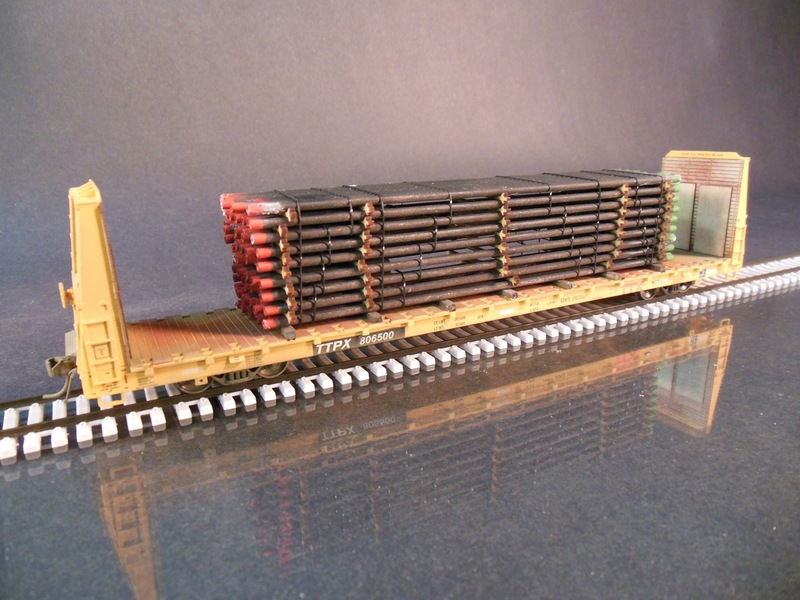 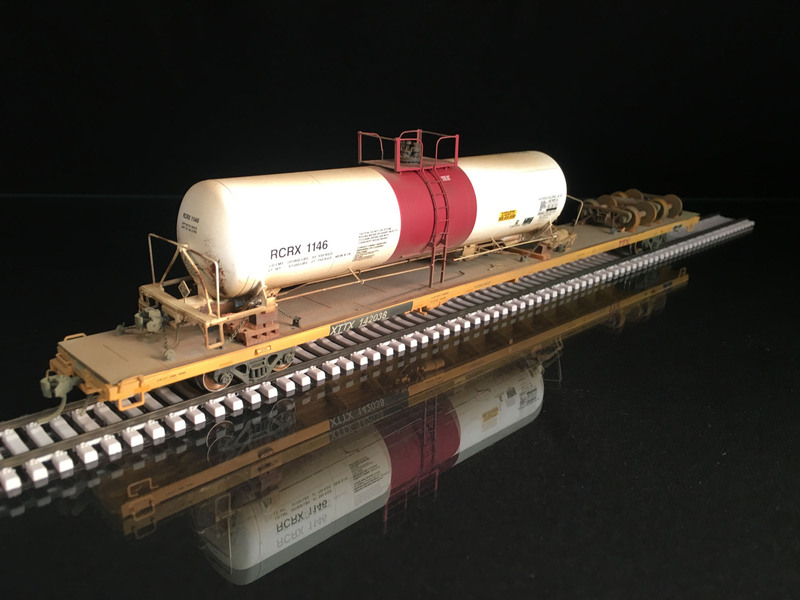 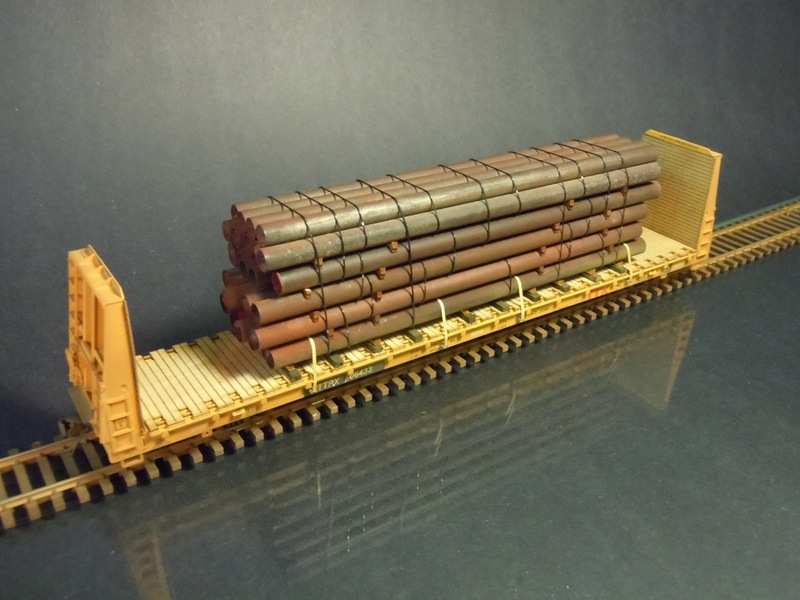 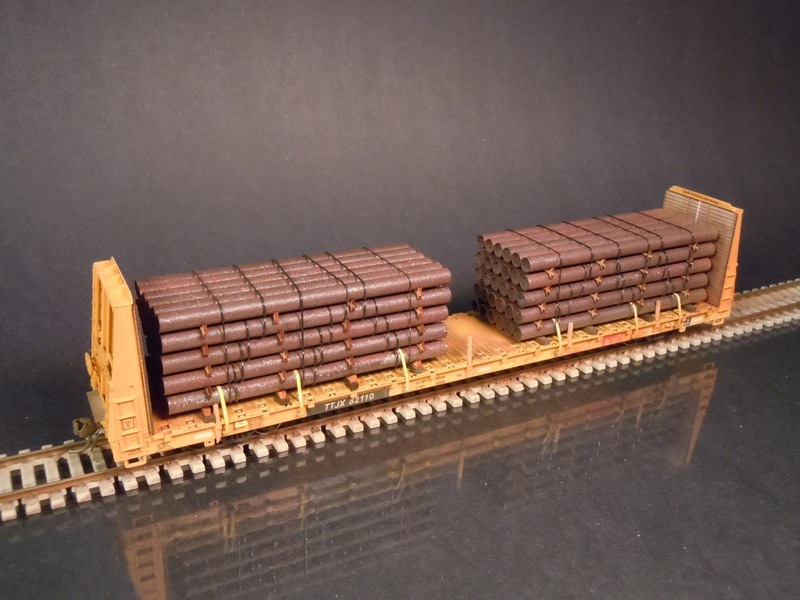 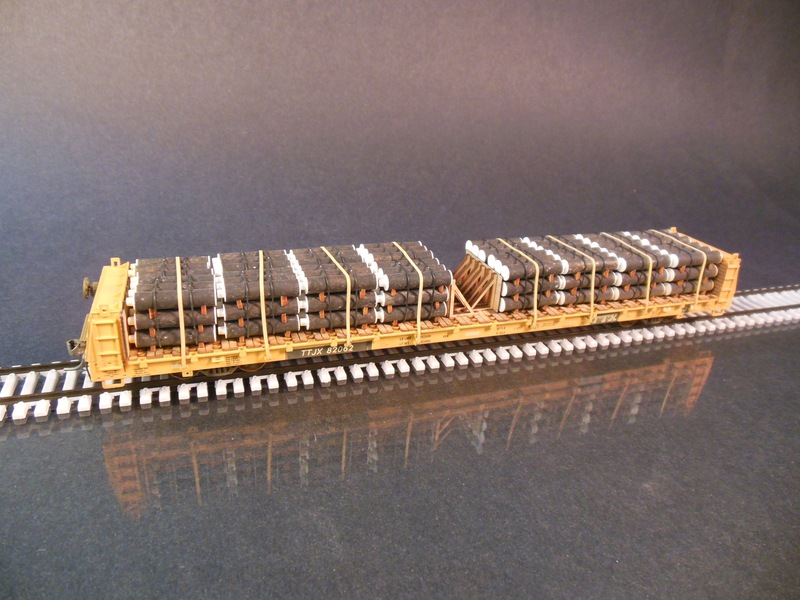 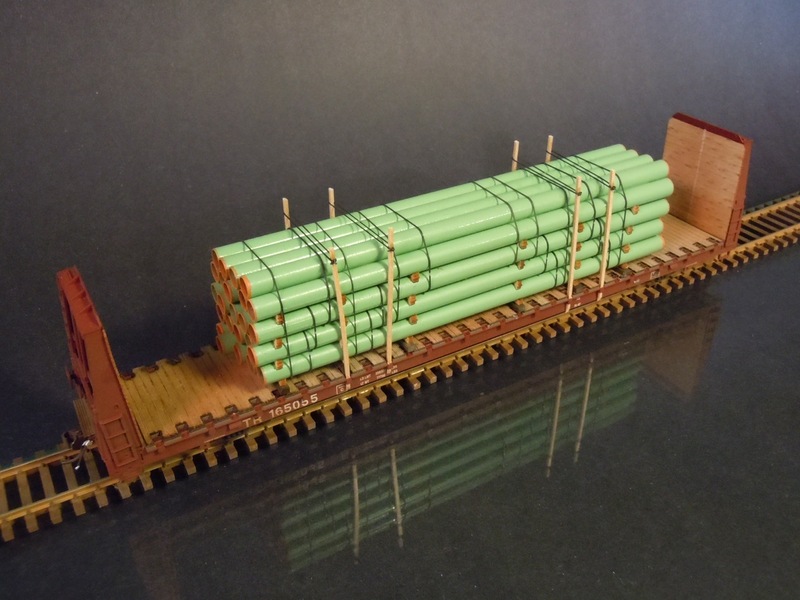 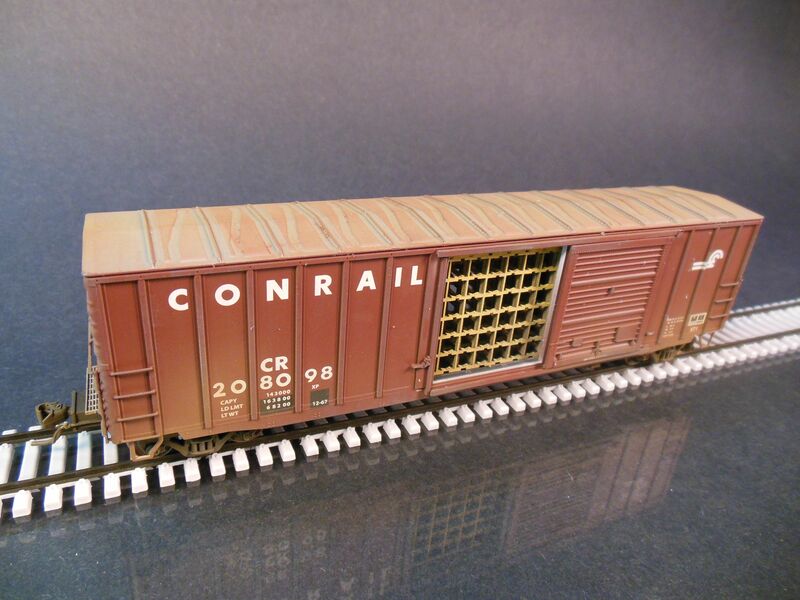 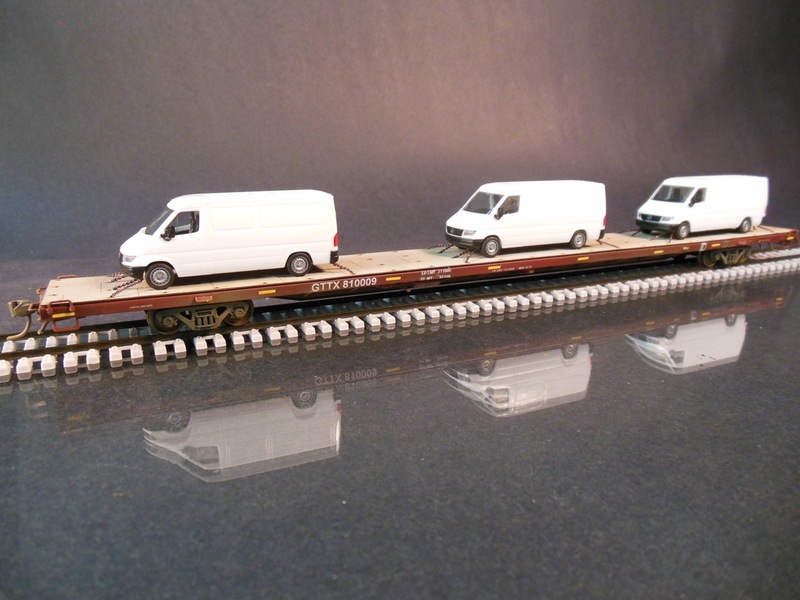 Atlas HO scale box car with engine racks. 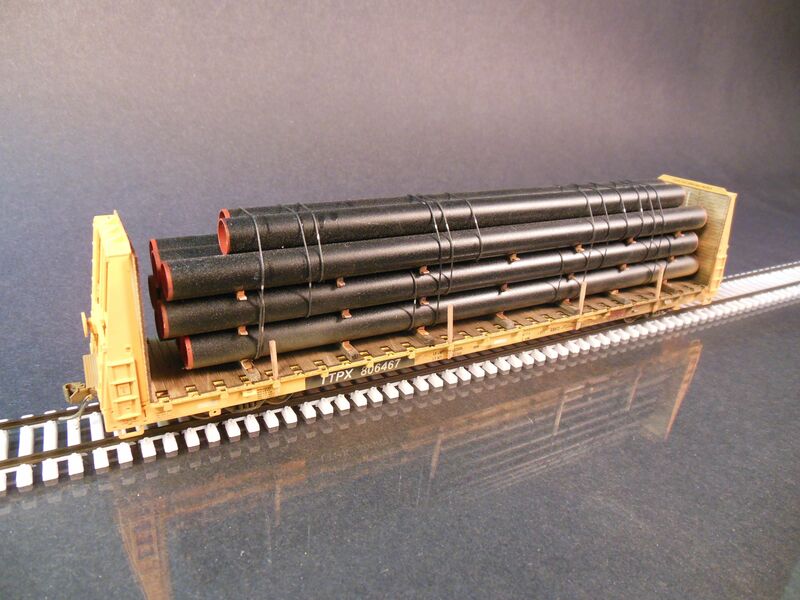 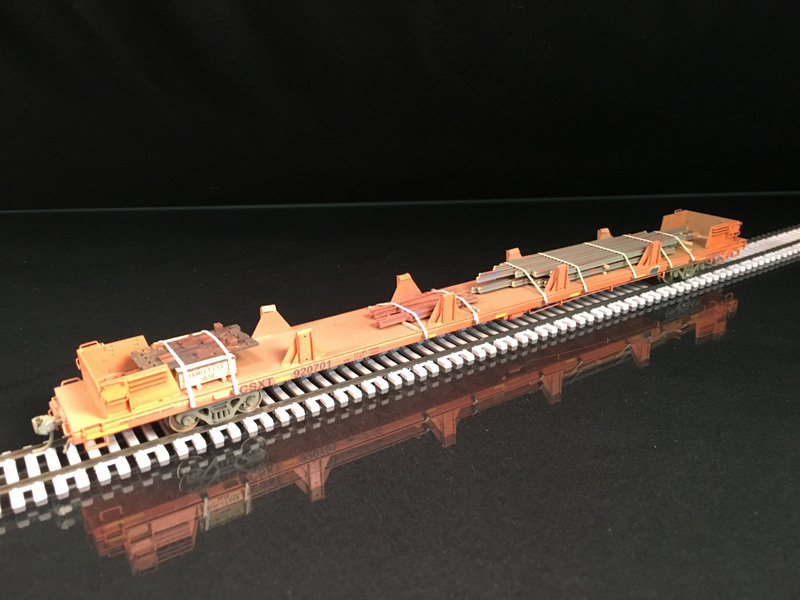 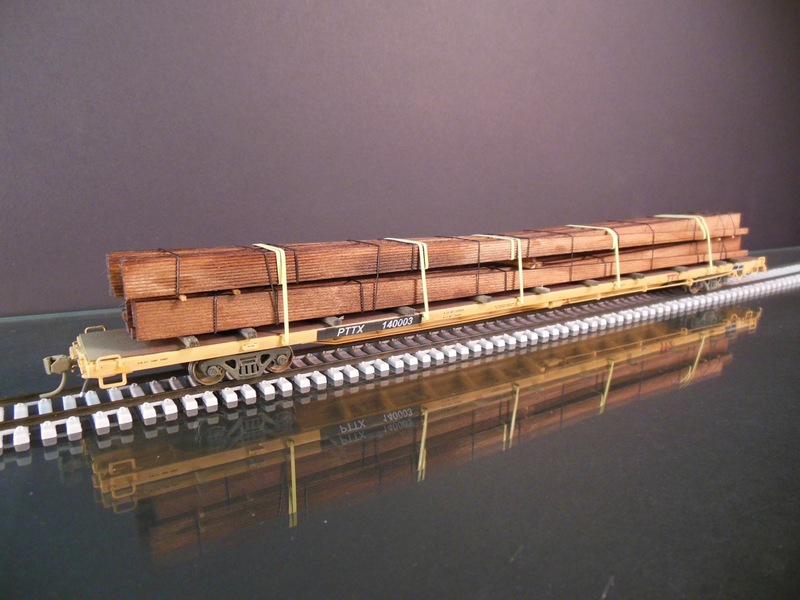 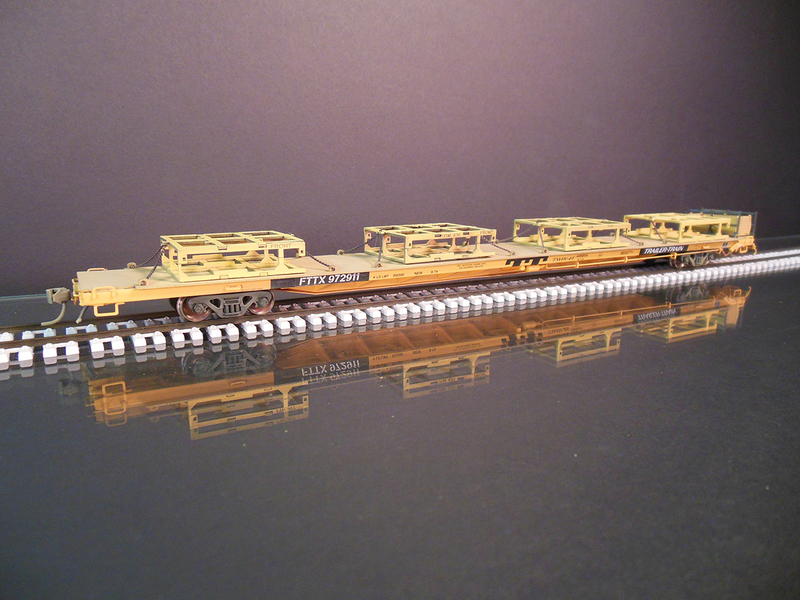 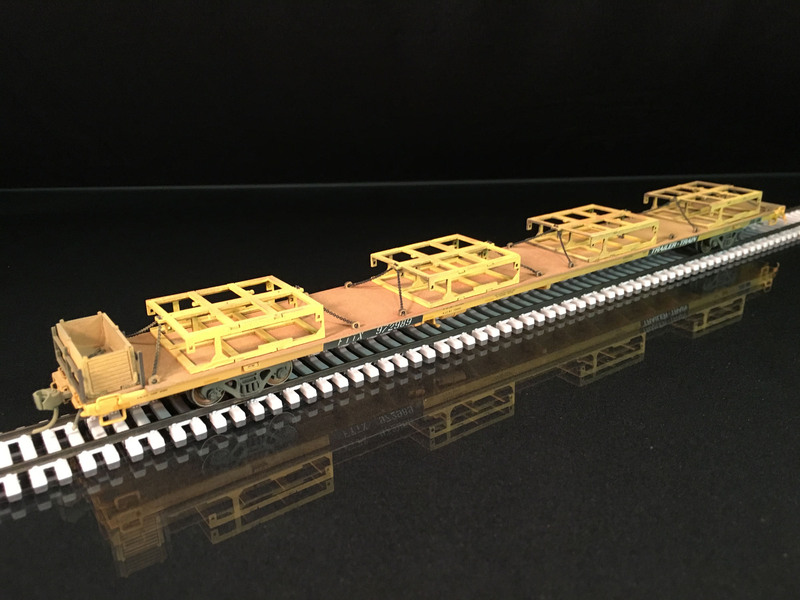 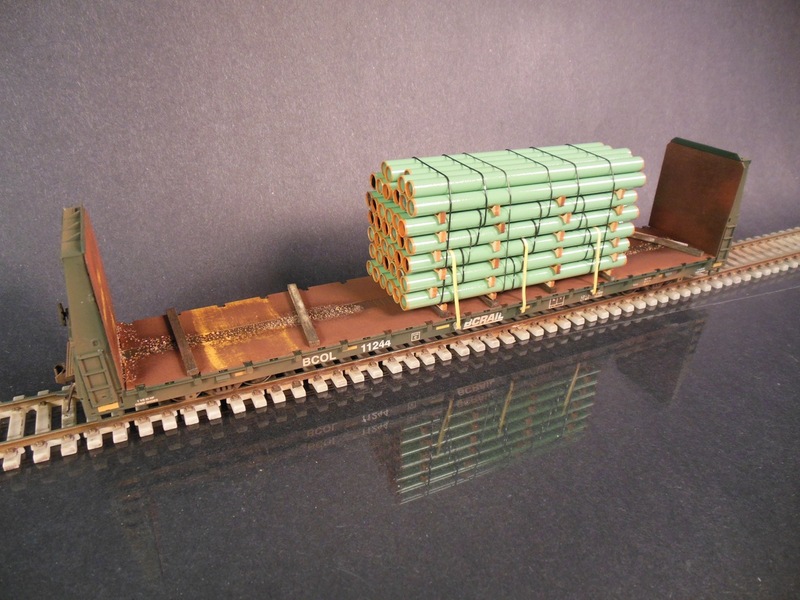 Atlas HO scale bulkhead flat car with coated steel pipe. 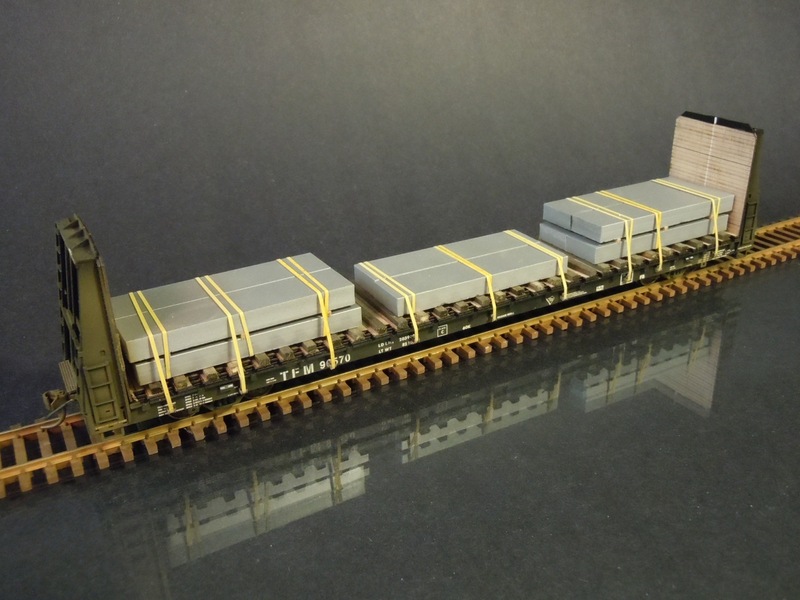 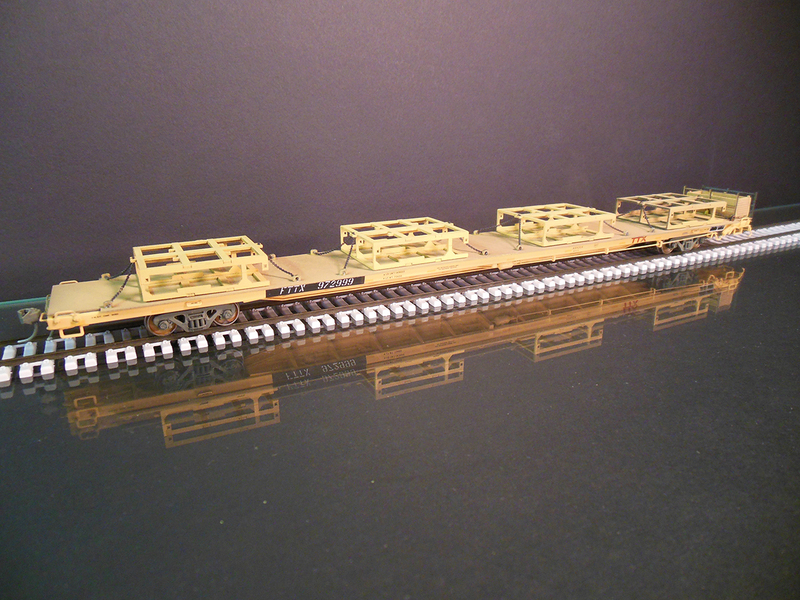 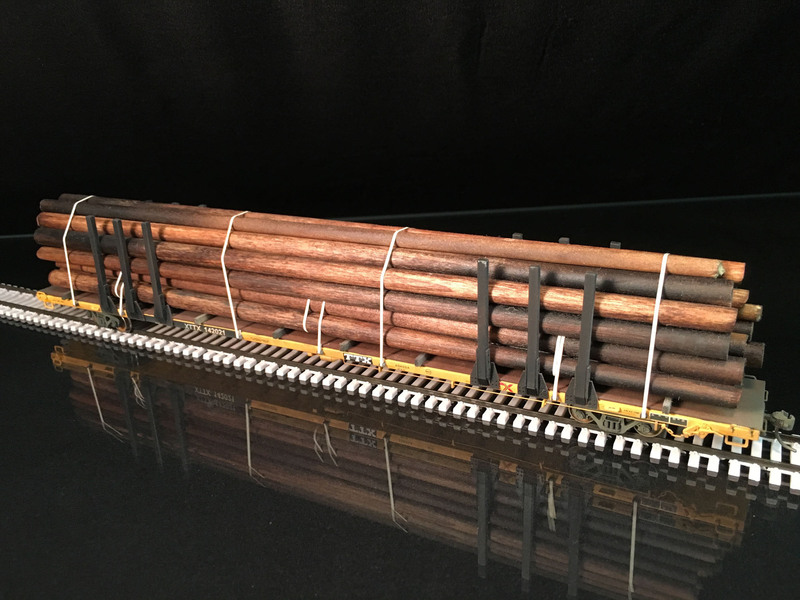 Atlas HO scale bulkhead flat car with graphite electrodes. 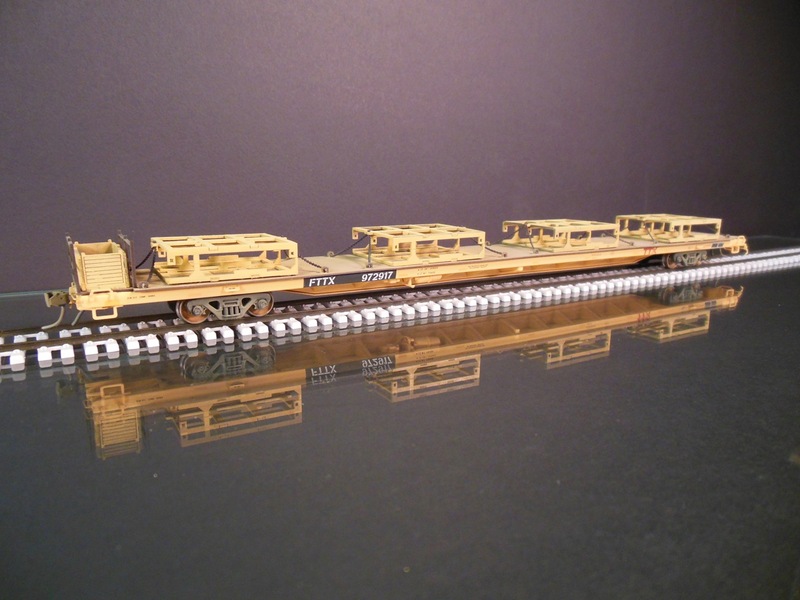 Atlas HO scale bulkhead flat with graphite electrodes.